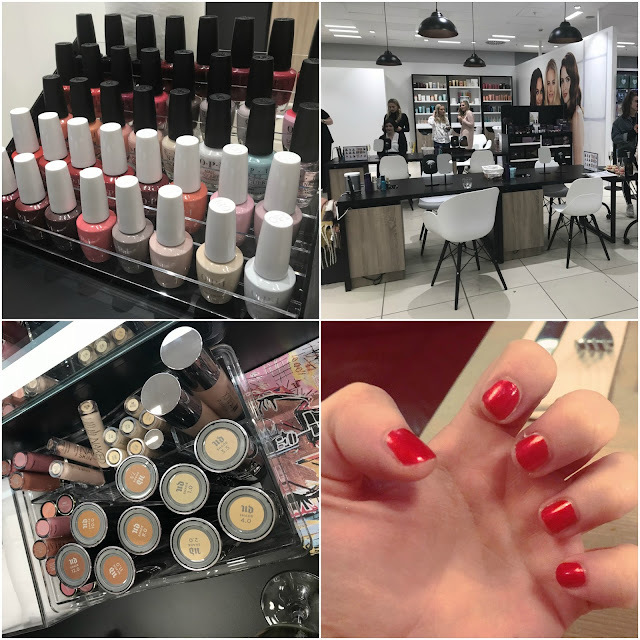 Having previously used Blow Ltd, the UK's leader in beauty services on demand, back in July to have my nails done in my own kitchen, I was super excited to head along to their launch at Debenhams in the Bullring this week! 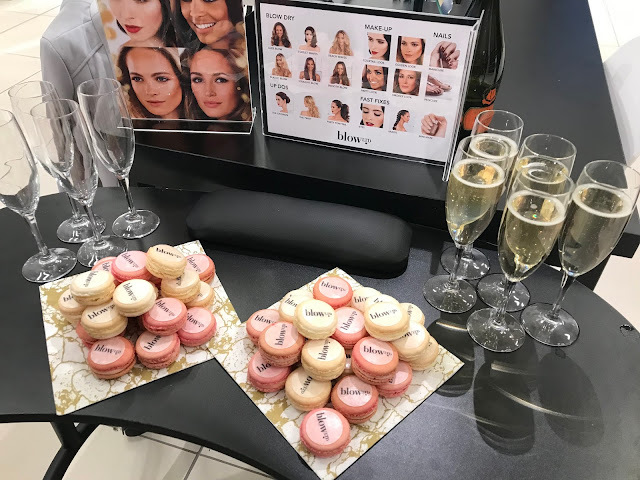 Although Blow Ltd was first launched in London, it worked it's way up to Birmingham earlier this year and has since gone even more up north by launching in Manchester. 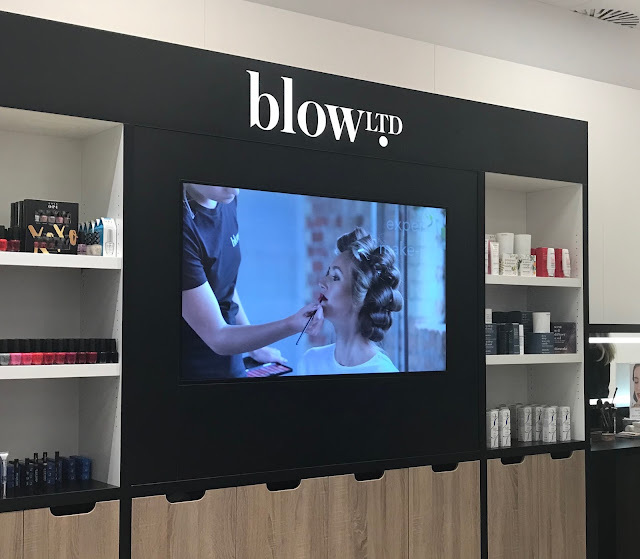 Blow Ltd not only offer a whole host of beauty services in your very own home, office and more, they have now launched at Debenhams so that you can treat yourself to a treatment or two whilst on the move. It is set to be super popular, especially with Christmas parties on the way, and a quick and easy solution to having to wait weeks for your nail technicians and hairdressers to be able to book you in. All you have to do is book via the website or the app, and enjoy being beautified within hours later. The services on offer include Kerastase blow dry's, make-up, nails and more for both individuals and groups. At the moment, Blow are also offering Christmas party packages. At the launch this week, as well as enjoying a glass or two of Prosecco and a few macaroons, I also was treated to a face of make-up, as well as a stunning manicure. The expert who did my make-up was absolutely lovely and incredibly welcoming. I noted down that the majority of the make-up used was Urban Decay, which is a favourite brand of mine, and I went for a smokey eye look with a gorgeous statement lip. I particularly loved the lipstick, which was called 'Tilt', a comfort matte that the expert recommended to me as my lips can get very dry, especially in cold weather! I loved Tilt so much that it has gone right onto my Christmas list! Soon after, I headed over to the nails section and was treated to a manicure. Again, the nail expert was incredible and made me feel right at home, letting me take my time to choose which colour I fancied. In the end, I went with a gorgeous red OPI nail polish with just a touch of sparkle in, to really get me into the festive spirit, and of course to match with my lips! I truly believe that Blow offer great value for money, as well as brilliant expert knowledge and a very welcoming and fun atmosphere. To check out what is available on your doorstep at Debenhams in Birmingham, head here.